Here comes the interview with ROOM 94 - British pop rock band and I think one of the most Polish foreign groups in the world. ROOM 94 often come to visit our country and as they have said - they enjoy being here. In the interview the band is talking about their beginnings, European tour, Polish girls and vodka. Enjoy it! You became famous in 2012 after releasing "Loud Noises" EP, which was promoted with single "Ignorance is Bliss" and now you have almost 400 thousand followers on Facebook. When did you come up with the idea to form the band and how do you remember your first steps in the music industry? Kieran started the band at school years ago and Dean joined before he could play the drums. After a few different members Kit and Sean joined and in 2010 the final line up was made and we started touring and playing shows everywhere in the UK and mainland Europe. The first steps in the music industry were fun and lots of partying, but also learning lots of lessons for the future about how things work and how to put on a good live show. In February 2015 you released your second, self-titled album and started The Dirty Dancing Tour 2015. What in your opinion is the best in this recording? Can you convince people to attend your concerts in a few words? We love all the songs on the album, there was a lot going on behind the scenes which nearly stopped the album being released so each song was a way for us to release anger and emotion and feelings. Come watch a show - it's full of energy and it's a great party! 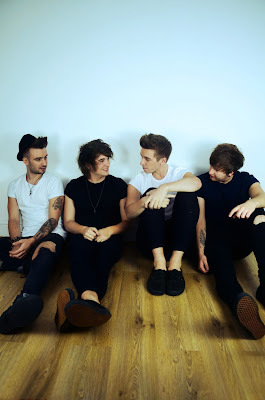 ROOM 94 consists of three Lemon Brothers and Kit Tanton, who is not the family member. Do you often have arguments between each other? Do you treat Kit like your "fourth brother"? None of us argue, we have disagreements but normal brotherly ones. Kit is a fourth brother, the weird creepy quiet one. We're all a really close unit who just have a laugh and enjoy being in a band. You seem to enjoy being in Poland, you have visited our country many times and I know that you have a great contact with Polish girls. What makes Poland so special for you? Do you want to say something nice to all your Polish fans? Poland is special because we were welcomed so amazing, it's a 2nd home to us and the fans are incredible. The girls are hot and the food is amazing and we like vodka too. To all our fans in Poland - we love you and thank you so much for supporting us. I guess that besides performing on stage you like doing many different things. What are your favourite ways of spending free time? We enjoy football, skateboarding, going out and partying. Just all things boys enjoy doing! 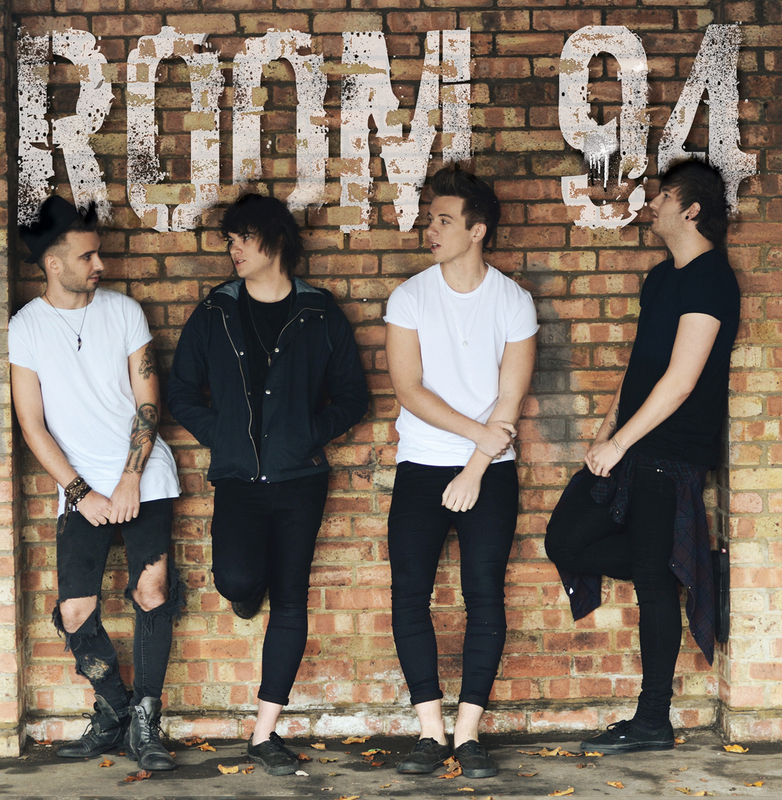 As I have said, you released your album "ROOM 94" earlier this year and you are after the European Tour. Now you are publishing some covers on Youtube. Are there any plans for your third album? Maybe it is the time for a cover album? We enjoy doing the covers and it's fun putting a twist into some of our favourite artists songs, but I think we'd rather spend time on an album of our own original tracks rather than a cover album! We are always writing new music so I'm sure there will be a third album soon!